When our greenhouse project started, we did not have a real set plan as to how we would lay out the internal space. So each step has been more of “oh, we can do this here” kind of thing. When I started looking at adding our third aquaponics tank, I noted some bare wall space that would be wasted without something added, so enter the gutter garden! 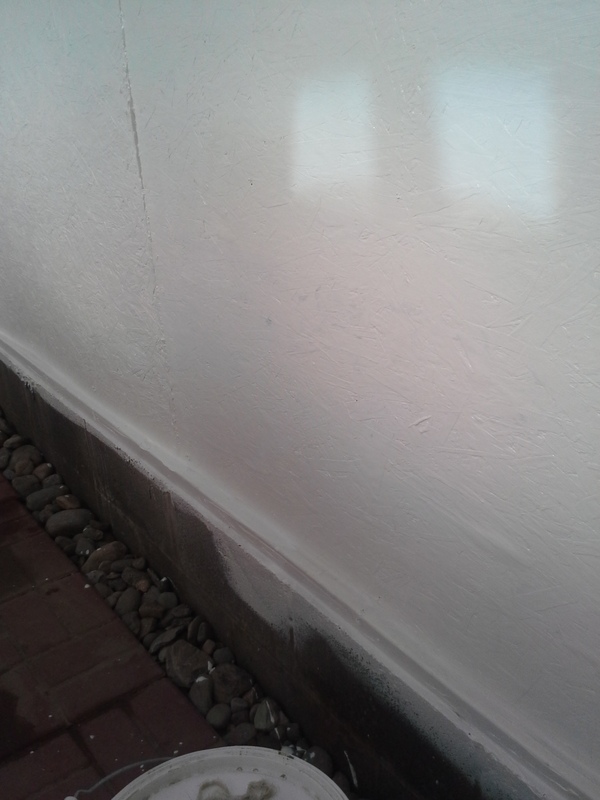 When we installed the third tank, it’s location was to just the end of the blank wall space. I thought utliizing the pump and filter from the AP tank that I could keep a water flow through some gutters added top the wall, thus increasing our grow area. Adding the gutters to the wall and routing the pumped water from the aquaponics tanks actually added another layer of filtering for the tank as well as being able to add grow space. In the gutters I added bio-media. The bio-media will act as a filter for the water being pumped from the tilapia tank, as well as creating a bacterial growth which is needed by the tilapia. Not to mention that we can grow our plants directly from seed or starter plants directly in the media. Simply: the water from the tilapia tank is pumped into a 3-stage filter. 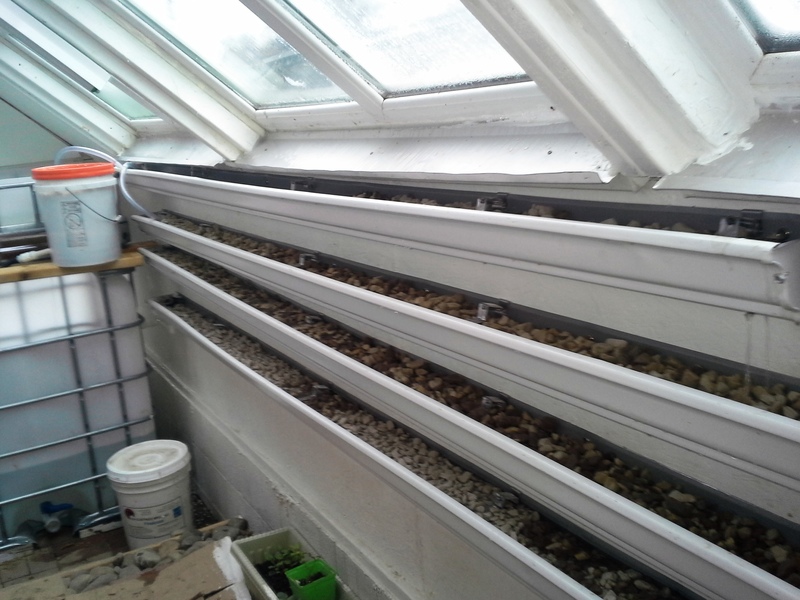 Then from the filter is split into the constant height grow bed and the gutters. The filtered water is circulated through the plant roots and then returned as fresh water back into the tilapia tank. What could be simpler! I love this! I find myself watching more and more stuff on aquaponics lately. I think it’s something that we’ll probably start dabbling in soon. After two years of being involved in aquaponics, we are still finding more creative ways to utilize all the nutrients derived from the fish. Our next project will be adding vertical gardening to the mix, probably in the spring.